I'm excited to see The Rochester Wedding Connection growing to 1000 + members! I’ve never expressed why I started this group so gather round and I’ll share. Those who haven't been around long may not have a clue what I'm talking about and many will. To be blunt, I was getting burnt out on The Rochester Area Wedding Swap (a big un-monitored group), there I said it! I saw it as a place where I had received a tremendous amount of business but something didn’t sit right with me. At the time (and I hate saying this bc I’m not a bragger) I was one of the most recommended makeup artists in the group, so why would I be burnt out on tons of business and recommendations? Well, it’s complicated and maybe something that vendors can understand more than brides & grooms due to the nature of the business. Maybe I’m wrong, maybe they felt this way too? I wanted brides and vendors to be respectful of each other but it wasn’t happening in a group where there’s no guidelines & no admin. A group where people are selling wedding dresses alongside a box of adult diapers. A group that says on the cover photo "The place for budget conscious brides" yet arguments flare up daily about this topic. CLIMATE: I wanted a group where the game didn’t feel “rigged”. I felt that certain vendors controlled the room with their vendor list, constantly flocking to “recommendation posts” to + 1 each other and drowning out other vendors. I wondered weather or not I was the only one who noticed it. I even saw some offering financial incentives to book with their preferred vendors. I mean who doesn’t like a discount? I know brides may not understand why this is/felt wrong; but to me it felt like a kickback and went against everything I had learned about being professional in the industry. I don't dislike these vendors but on some level I couldn't get down with this tactic. Even though I was receiving a ton of business, I didn’t like the climate of the room. Something just felt disingenuous. Don’t get me wrong, being recommended by my brides is the ultimate compliment. Being recommended by fellow vendors is flattering as well. especially when it's not driven by obligation or kickbacks. BUDGETS: In my group I respect vendors and couples of all price points. Undercutting will always exist and is a losing battle to fight. We are not the rates police. All I ask is to be honest about your budget and don't be offended by someone who might not fit your budget. Vendors don't be offended if a bride is not able to raise their budget. Sometimes you get great quality for a great price and other times you don't. REPEAT POSTS: Who likes to answer the same question repeatedly, sometimes multiple times a day? Nobody. A simple search can usually give people the info their looking for; but with no guidelines people will not learn how use the group effectively and it will end up like a broken record. I've seen the same posts asking for the same information every day and vendors flocking to it over and over again. I realized how unproductive these threads were esp. when they list no date, location or budget. QUALITY VENDORS: I wanted a group with all kinds of quality vendors. I try my best to keep out vendors who no show or treat their clients poorly. In a nutshell that's what inspired me to create the Rochester Wedding Connection. It's not perfect and it takes a lot of work, I can't tell you how many people I've had to stop at the gate or crazy posts I've deleted. There is def a place for these groups but when they grow out of control with no "housekeeping" they can become unproductive. I'm thankful to the swap for a lot of things. These days I've become a lot less active in it but will continue to participate from time to time. I will be focusing most of my energy over at the Rochester Wedding Connection. I love being recommended but in a lot of ways I've grown away from the mentality of being "the most recommended". As a vendor with a lot of opinions I know I will simply not win everyone over and that’s OK. I know I run a risk of ruffling feathers by posting my opinions. I’m not the biggest expert in the field nor do I claim to be. I run this group to have a quality group for brides and vendors. Such an amazing share. I also would be marrying soon and have to hire the planner for the arrangements. I have learned some tips on how most wedding planners operate so that I have had an idea on how to cooperate with them. I need major help to find one of the affordable wedding venues NYC for fairy ceremony. Hoping that my planner would help me find that. Tierney Messmer is a mom, wife & pro makeup artist residing in Rochester, NY. 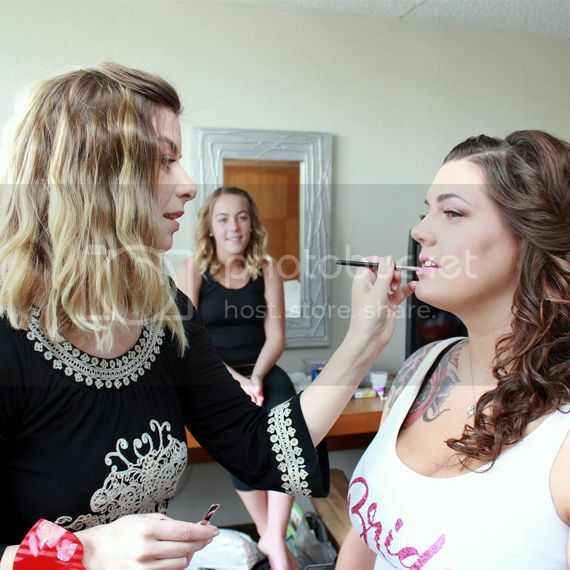 She specializes in on location Bridal Makeup. She's a freelancer for many major makeup companies including it Cosmetics. 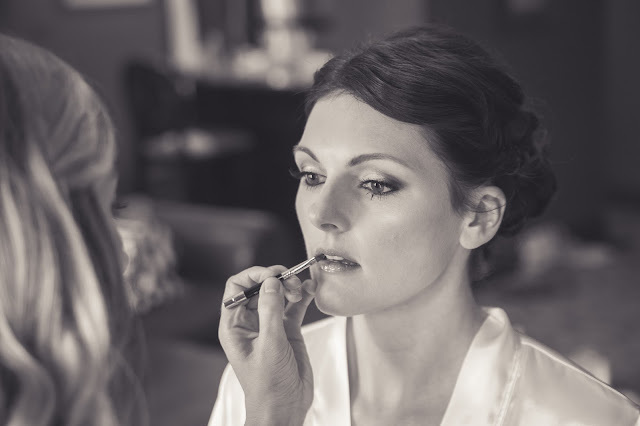 Tierney created Unbridled Beauty as a resource for brides and fellow makeup artists. She loves all things bridal and believes beauty has no limits. PRO VS. FAUX: What Makes a Professional Makeup Artist?